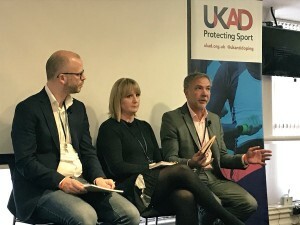 The forum was opened by the UKAD Chairman Trevor Pearce CBE who gave a brief outline of the day and said the emphasis would be on the mission to protect sport and the important values associated with clean sport, the new developments in Anti-Doping. 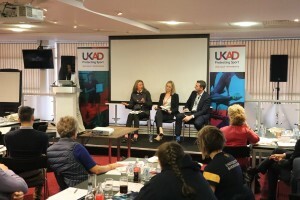 UKAD is also looking to strengthen it ties and work more closely with NGB’s and support them with the tools and strategies they need to meet their obligations to keep sport clean. A significant emphasis would also be placed on Image and Performance Enhancing Drugs (IPEDs) and wider impact on society. Working with new partners in public health, the leisure & fitness sector and education. 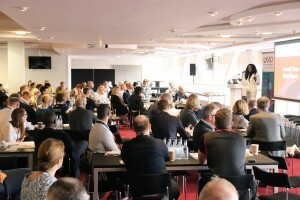 This was a high level conference with speakers who are at forefront of Anti-Doping and with the co-operation of its partners and National Governing Bodies can continue to adapt and successfully challenge new threats and developments in Anti-Doping. This was again an enjoyable and informative event held at a venue that has become a great symbol for the pride Wales takes in its sporting achievements, which is in appropriate reminder for us all of the mission to protect sport and the important values and ethics we associate with Ju-Jitsu and for the BJJAGB National Governing Body to be involved at the highest level.